Boy oh boy do I have a treat for you! 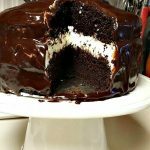 For this week’s Tried & True my sister is sharing one of her favorite cake recipes to celebrate my 40th birthday! 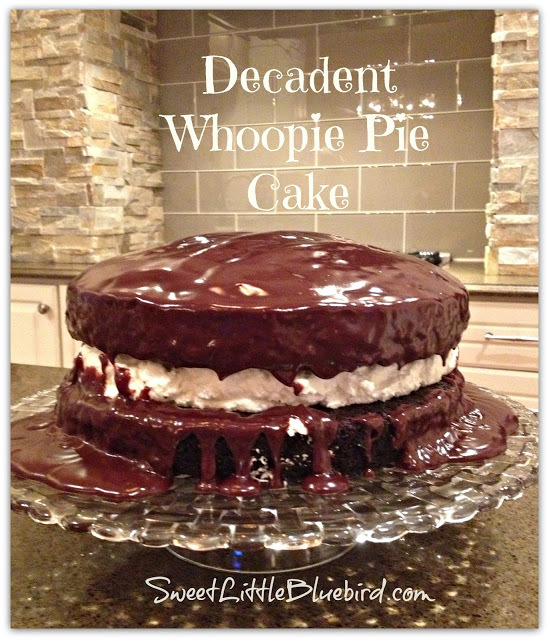 WHOOPIE PIE CAKE – Decadent chocolate cake with a cream filling drenched in ganache! Oh so good. This cake is….To. Die. For. This cake is decadent, delicious and oh so good. A go-to family recipe for birthdays, dinner parties and holidays! In a medium size bowl, mix buttermilk, water, oil, sugar and eggs until well blended. Sift the dry ingredients into a large bowl (baking soda, salt, flour and cocoa). In a small bowl, mix the cream cheese and confectioners sugar well until creamy and smooth. Set aside. In a large bowl (preferably chilled), beat the whipping cream with a mixer until soft peaks form. *Note, for this cake, my sister decided to stabilize the whipped cream filling to make it last longer and retain its shape (the whipped cream filling without the addition of unflavored gelatin tastes wonderful, but the cake tends to get VERY messy after the first slice is cut because the creamy goodness goes everywhere, thus detracting from the beauty of the cake. To stabilize the cream, put 2 Tablespoons of cold water in a small bowl. Sprinkle 2 teaspoons of unflavored gelatin over the cold water. Let the gelatin stand for a minute or so until the gelatin is absorbed by the water. Next, microwave the gelatin for about 30 seconds on high. The gelatin will be clear and melted. Let the gelatin cool for 2-3 minutes, but do not allow it to cool long enough so that the gelatin begins to set. You are now ready to stabilize the whipping cream. Begin to beat the whipping cream again until firm peaks begin to form. With the beaters going, slowly add the gelatin mixture to the whipped cream. Mix well, but do not over beat (over beating causes to whipped cream to break down). Next, gently fold the cream cheese mixture into the whipped cream. Set mixture aside (or refrigerate until you are ready to assemble the cake). Place one of the 9-inch cakes on a cake platter dome side down. Spoon all of the whipped cream mixture onto the cake (it will be a thick layer). Place the other 9-inch cake on top of the cream layer dome side up. Your cake should resemble a giant whoopie pie. Chill the cake in the refrigerator until ready to serve. ENJOY!!! Using a mixer, beat all ingredients together well. Fill the cake with the mixture. My husband asked me to make this for Christmas Eve dessert. I read the reviews but it appeared that only one person had actually made the cake. After making the filling I tasted it and agreed with the reviewer that said it wasn’t very sweet. I did dust the top of the bottom layer with confectioner’s sugar to make it a bit more sweet, but I don’t know that it was really needed. I let the cake chill in the refrigerator for 24 hours. I used dark cocoa for the cake and It was absolutely delicious. 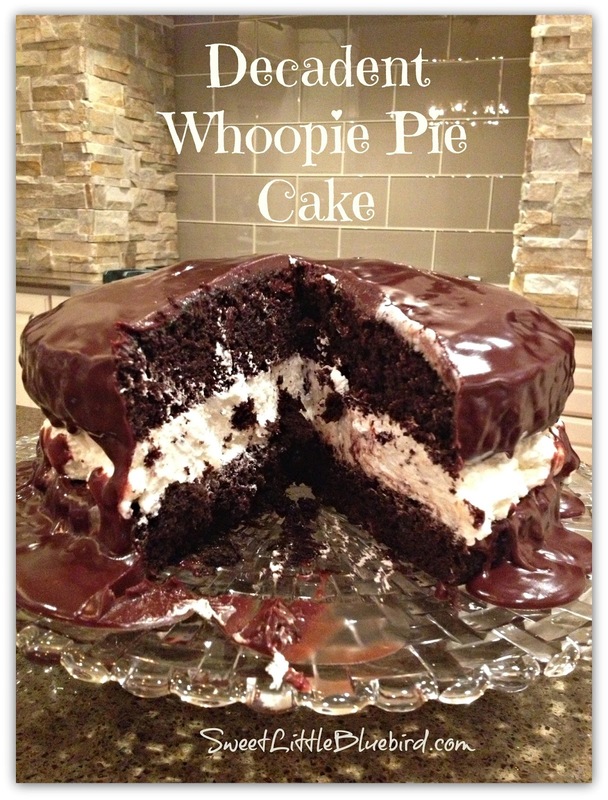 The filling was perfect and very much like the original Whoopie Pies we ate as children. I did put parchment paper around the cake when I assembled it so I could remove the excess filling and ganache that dripped over. I think it made for a prettier presentation. 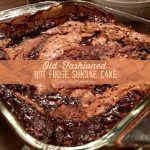 My husband and the rest of the family have this recipe a thumbs up. 5 out of 5 stars! 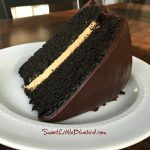 If you put waxed paper or parchment paper strips on the cake plate under the first layer all around, the ganache will drip onto the paper and you can pull the paper strips out after it sets a little. 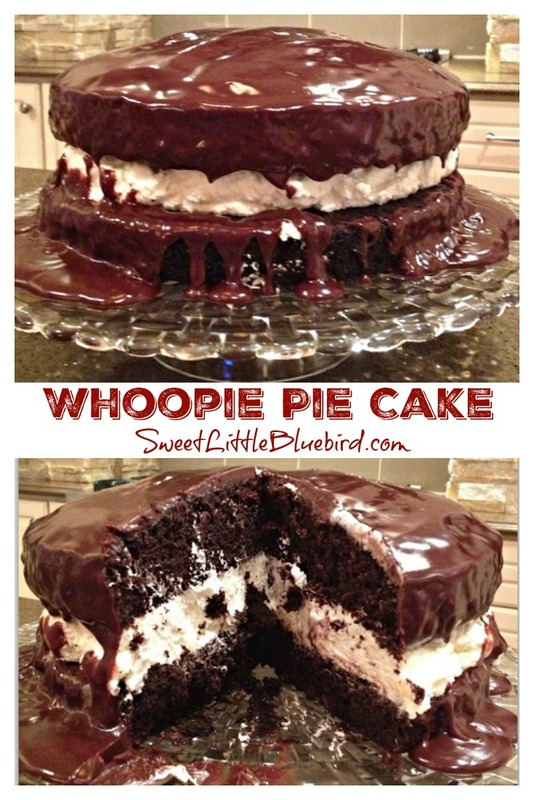 Let the hubby and/or the kids have the ganache on the paper or ~ enjoy it yourself, you just made them a yummy whoopee pie cake! Well, darn it! I'm on a low-carb diet right now. But…OH MY GOODNESS!!!! I have five kids and a dessert-loving husband. I'm pretty sure this cake will HAVE to happen. Probably soon. lol!!! Thank you for this – sort of! ha ha ha! I really don't have too much trouble saying no to most desserts etc, but this…. oh wow!! Oh my gosh… This sounds wonderful! 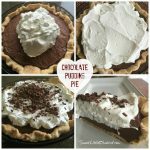 The chocoholics in my family would love this! I would suggest adding more powdered sugar to the whipped cream middle. When we made it, it was kind of…plain. Still good though! As good as it looks. New favorite desert. I won't be able to sleep tonight after reading this recipe! Looks totally yummers! Oh. My. Goodness! I want this for my birthday cake next year!! I'm a whoopie pie fan and I've never made them, but one giant whoopie pie is right up my alley! Yummmm! OMG I've just died and gone to fat heaven. This looks completely amazing! ummmmmmmm….wow. I don't know what else to say except that looks like the best cake i've ever seen!